A few years ago I started making charitable contributions around my birthday. I haven’t done it every year but I feel like it’s a nice tradition. As I’m getting older and receiving presents and attention, keeping that in perspective. I didn’t spent much time doing research this year, leaving that up to GiveWell instead. Nor did I donate as much as I have in the past. Against Malaria: I’ve donated to help fight malaria in the past as well. The number of deaths is going way down but it’s still a significant problem. Give Directly: I think the data is still out a bit on how effective cash transfers alone are but there’s certainly some intriguing data on cash transfers in conjunction with therapy or training. Could be a new model for charity. I went to American Field, an American-made goods festival, yesterday and it was pretty cool. There were a lot of nice products there. But a lot of the products were also quite expensive, which makes sense because these are new companies battling start-up and capital costs (or are making every product by hand, with no operational efficiency). Those are great if you’re willing to pay the premium, but it also reminded me of some older American companies that make more reasonably priced products, especially given the quality they’re producing. Narragansett Leathers: I now have three of their belts and I love them. They get more supple and nicer as they wear. After wearing their belts for most of the last three years, I recently gave one to each of my groomsmen. American Optical: I’ve talked about these before as my “astronaut sunglasses.” They were one of two companies that had the original Navy aviator sunglass contract and as such were the sunglasses of some astronauts. You can pick them up from Amazon. Darn Tough: They make great, tough, non-itchy wool socks and especially if you find them on sale, they’re very reasonable. For most of the winter, I wear them as soon as they come out of the laundry. Lodge: People say that vintage cast iron is much better and there are major design flaws with most cast iron, and that may be true, but I still love my Lodge skillets and they’re cheap. Goodwear: I actually only picked up one of their sweatshirts yesterday, but I like it so far. Any other American companies making good products at reasonable prices? Over the winter, I grew out my beard more than I’d ever had. I trimmed it short a few weeks ago with one day in between with giant mutton chops on the sides and a short beard in the middle, which is a style that’s surprisingly subtle (at least a few of my coworkers didn’t notice it). A few years ago I started a tradition of giving money to charities around my birthday*. After taking a few years off while I was in South Africa and then recovering from the financial impact of living in South Africa, I’m happy to restart the tradition. As usual, I like to give to some local, national and international–particularly Africa-centric–charities. I also like giving to efficient charities. 20% Local Year Up [Boston Chapter] (CN) They run one year programs for low social-economic status 18-24 year olds with mentoring, apprenticeships and skills training. They have a pretty high success rate. 20% National/ Good Idea Fresh Moves A mobile produce market that serves the ‘food deserts’ in Chicago. Seems like a cool idea that I thought about giving money to for a while. 20% National American Red Cross (CN) For the first time in years (that I’ve seen, at least) they were not a top rated charity as far as efficiency goes, but I also couldn’t find another equivalent national relief organization. When it comes time for next year’s birthday giving, I’ll reconsider if they’re still not a four-star charity. 20% International/ Africa African Medical and Research Foundation (CN) I’ve given to them every year that I’ve done the birthday giving. They focus on less known, but high impact diseases and health issues in Africa. 20% International/ Africa Books for Africa (CN) I worked with a library building organization while I was in South Africa who cited a statistic that 93% of schools in South African did not have a serviceable library. And South Africa is probably better off than most countries in Africa in that regard. As always, I’m reluctant in posting these because I don’t like to draw attention to myself. Perhaps you’ll find an interesting charity to donate to, or if you think I’m doing it all wrong, you can find a charity more in line with your ideals and donate to it. *And, of course, I’m a bit late for my birthday. It took me a while to research and choose charities. I haven’t posted a mixtape for a long time, but that means there’s just more concentrated awesomeness in this one. Please check this out. It’s a good. If you like the artists or songs, I suggest supporting them by buying their music, going to a show, buying merchandise from them. And tell other people about the artists! 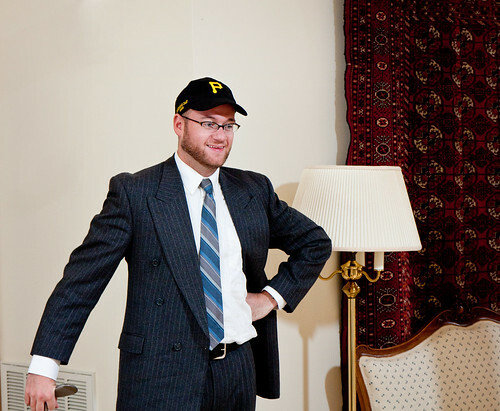 For the entirety of the 2012 season my friend Colin and I exchanged emails in one long thread about the Pirates. From the slow start to the incredible standing in August (16 games above 0.500 on August 6, their best standing since 1992) and their chance to break a now-20 year streak of losing season, the worst in major US sports in history, to their epic (and historic) collapse we followed the team. From the hope to despair, the stats to the intangibles, the interesting to the mundane, it’s all here. Halliday had a ridiculous game. Also, this made me happy. Go bucs. It was good. It’s true that Halladay had a good game but the numbers don’t tell the whole story. I was sitting next to Phillies fans and they were complaining about his velocity. Apparently, he only hit 90mph twice or something. Also, the Pirates put the bat on the ball a lot, they just happened to hit to where fielders could get it. Sabermetricians will tell you, that’s not within the pitcher’s control. So, I think Halladay was operating on the lucky side of the hits per balls in play spectrum. Or, at the very least, he’s pitching in front of a bunch of good defenders. If you put him on another team with worse defense, the Pirates would have got a number of doubles. Also, the only run the Phillies got was very nearly an out at the plate. If the throw had been a little lower or a little earlier, the guy would have been out. All in all, it was a fun game even though the Pirates lost. They played well, so it was encouraging – especially since they were up against Halladay and Papelbon. I’ll be interested to see the 2012 version of that study. The beer prices at the game yesterday were all like $7+. I think they’ve raised prices on a lot of things since last season. They’re still probably on the cheap end of things, but they’re definitely more expensive than last year. It’s the first day of lent and this year I’m giving up what may be very difficult: carbonated beverages. On an average day I may have soda, flavored seltzer water and beer. Those are all out for 40 days. Last year, I gave up meat (Catholic meat ie seafood was allowed), which I thought was going to be really tough, but turned out to be fine. Other things I’ve given up in previous years: caffiene and buying stupid stuff online, among other things. I’ve recently been making homemade kosher dill pickles. I’m in the middle of batch four, which is the best batch yet. They’re delicious and crunchy. They’re brine cucumbers (as opposed to vinegar cucumbers), so don’t go into them expecting the standard store-bought taste. I started with this recipe and modified it very slightly as follows. The biggest change from the recipe was that I only left the jar out of the fridge for about 6 hours instead of 4 days. (They took another day or two in the fridge until they were fully pickled*.) I actually left the first couple batches 4 and 1.5 days out and the last batch turned out much better, crunchy and delicious. Another thing that seems to be helpful is to cut about 1/16″ off the bloom end of the cucumbers. Apparently the blooms have some detrimental enzymes in them. * I started with the McCormick spices from the grocery store, but for the last batch I switched to pickling spices from Penzeys, which seem to be an improvement. I also read these spices are good. ** While they’re fermenting, I’d recommend opening the jar at least once a day to let out the gas that they’re producing or you’ll end up with slightly fizzy pickles. Update: I think I would start with 6 cloves of garlic. 9 can be a bit strong. Their current collapse makes me pretty sad. I still have hope that they’ll end up above 0.500, and there are a number of things that are going right this season, but the weight of 20 (potential) straight losing season is, well, overbearing. I’m moving in a little over a week and I thought I’d use this opportunity to try Google SketchUp to try to model the apartment. 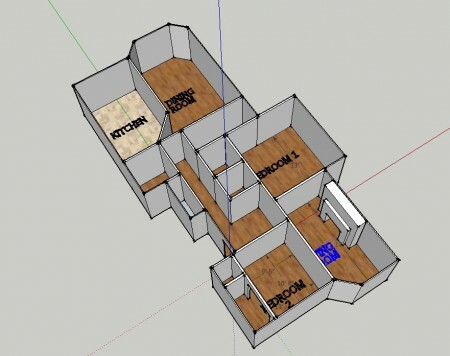 It’s an easy program to get the hang of but it proved difficult to change the model in precise ways after the model is started. 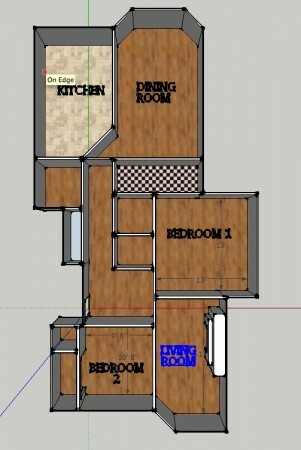 For instance, if I wanted to change Bedroom 1 from 13’x13′ to 14’x15′ now, it would prove very difficult. Note: some dimensions are approximate or not to scale, due to the problem mentions above. Mainly the bathroom isn’t that narrow. 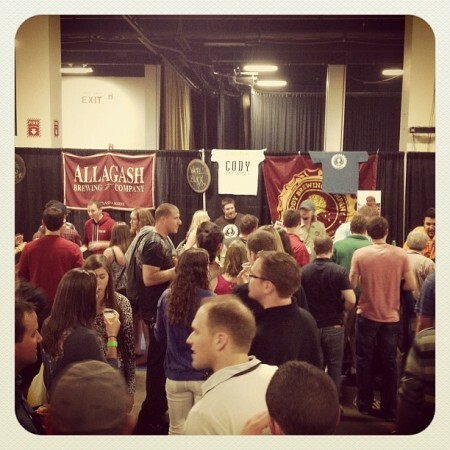 Last weekend I went to the American Craft Beer Fest, trying 48 beers from 21 brewers. (There were 122 or so brewers there.) It was a good time and there were some great beers there. I made a spreadsheet of the beers and my ratings of them. 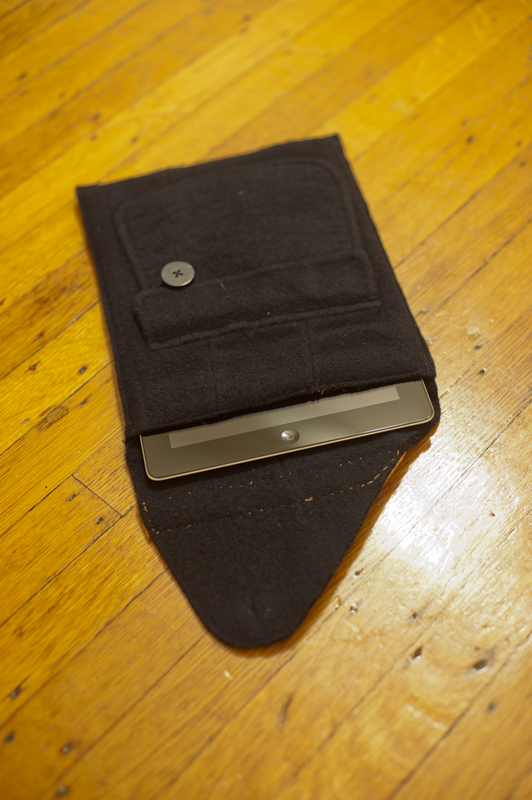 I got the new iPad a couple weeks ago and I decided to make my own case for it, based someone on this idea. 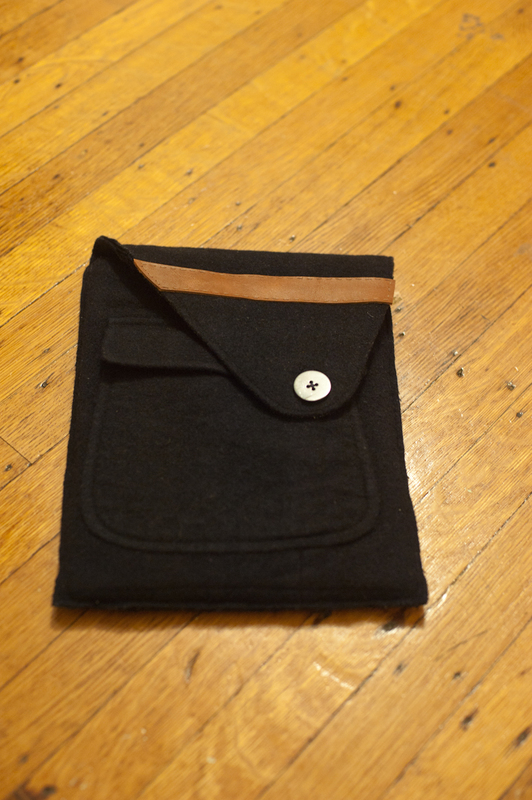 I made it out of an old wool sports coat that I felted myself, then cut up and sewed into this pattern. The leather comes from a thrift store women’s belt. The total cost of materials was about $13. 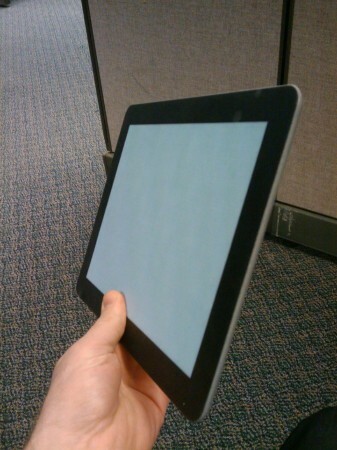 So the case would be ready when the ipad arrived, I modeled and 3D printed a fake ipad to use in designing the case. 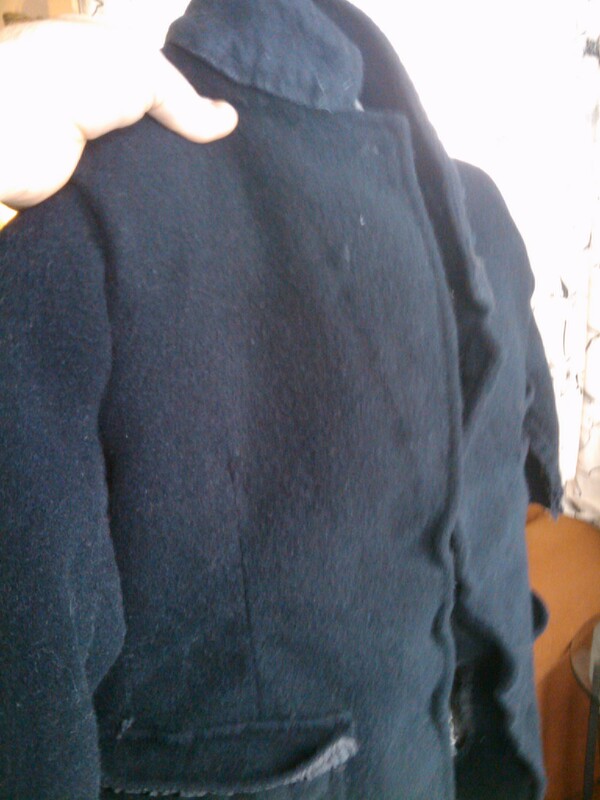 Here’s the felted sports coat.